Born in the Islands to American parents, Dole became the only American to become the Chief Executive of an independent foreign nation. Dole's parents arrived in 1840 from Maine so that his father could take over the leadership of Oahu College (Punahou School). Sanford left to attend law school on the mainland, but returned to Hawai`i in 1867 and established a private law practice. Dole's legal and political roles developed side by side over the next decades, a period in which Hawaii's history changed drastically. In 1886, under the Hawaiian Kingdom, Dole was appointed to the Supreme Court as an Associate Justice. A few years later he played a prominent and active role in the overthrow of the monarchy and was then elected president of the Provisional Government in 1893. Ignoring the illegal origins of his own government, he refused President Cleveland's request that Lili`uokalani be restored to the throne. Instead, the Provisional Government declared itself the Republic of Hawai`i and in 1898 Dole went to Washington, D.C. to press for American annexation of the Islands. In 1898, Hawai`i became a United States territory and President McKinley appointed Dole first governor of the territory. 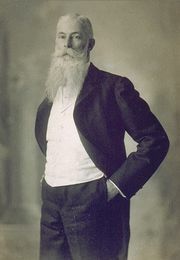 Dole retired from political leadership in 1903 but continued to work for many years as a judge and lawyer. He was a U.S. District Judge from 1903 until 1916, then pursued private practice from 1916 until his death in 1926.